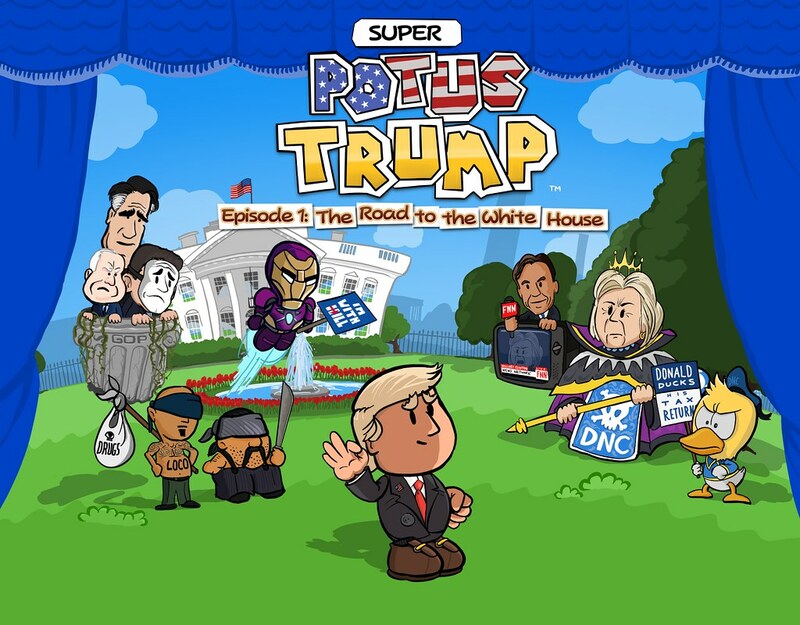 Super POTUS Trump!™ The Game! 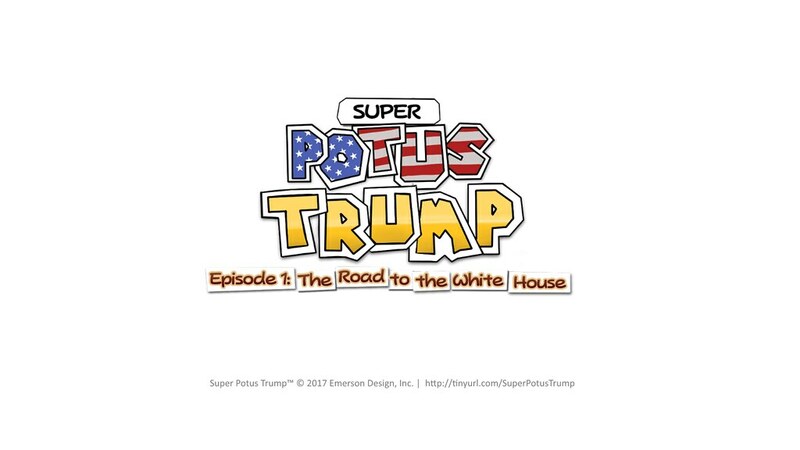 Super POTUS Trump is a “mini” indie video game I made as a tribute to President Trump. It’s currently available now for Windows on Steam and soon should be available for iPad as well (pending Apple review). While I describe the game as “mini” the effort it took to produce it was quite the opposite. At face value the game may not seem like a very big project since a person with average gaming/computer skills could play through the entire thing within 45 minutes (or less). But the making of this game was, by FAR, the biggest, most exhausting personal/hobby project I’ve ever undertaken. Not only was it my first time building a game with the (awesome) unity3d.org game engine – it also involved a ton of iPad artwork production, C# coding, audio hunting/editing, learning an entirely new game store workflow (SteamWorks, on top of Apple) and just about every social media/web skill I could muster as well. For the past ~6 months this project was pretty much a black hole that sucked up every free minute I could find. While it was a lot of work it was, for the most part, a ton of fun. I do have to admit that towards the end I started wondering if I would ever finish it, questioning why in the world I was making it and wondered the odds that anyone else would even care or enjoy, etc. Fortunately I didn’t give up, called it “done” about a week ago and since then it’s been release for Windows and sent to Apple for review. This is just art. Not a game but a piece of art. 10/10 would play again. There have been a few naysayers but thanks to how Steam works you can’t leave a negative review unless you’ve installed the game so hopefully that means not very many haters will bother spamming the reviews – which as of today are holding mostly in the Positive category. In case it’s not obvious I did not make this game to get warm fuzzies reading positive reviews or to rake in the few dollars it hopefully makes to at least make small dent in the the few hundred I sank into making it. 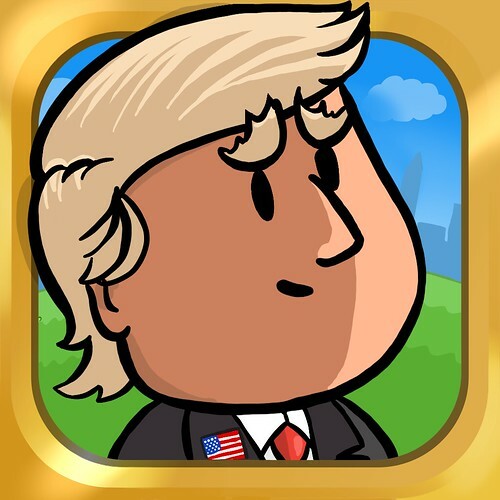 I made this game as my tribute to President Trump and to show the world (or maybe just 23 people) that Trump’s support is strong and made up of rationale, talented people whose bond with the man can not be shaken. With the non-stop onslaught of self-righteousness, condescension and vicious calls for violence coming from the news media, Hollywood, college cry-babies and all the other far-lefties in between I felt I simply had no choice but to make this game. I am well aware this is just a small silly game and I don’t imagine it will get that much attention – outside a few fellow indie gamer fans and friends/family I’m sure the install base will be pretty small. 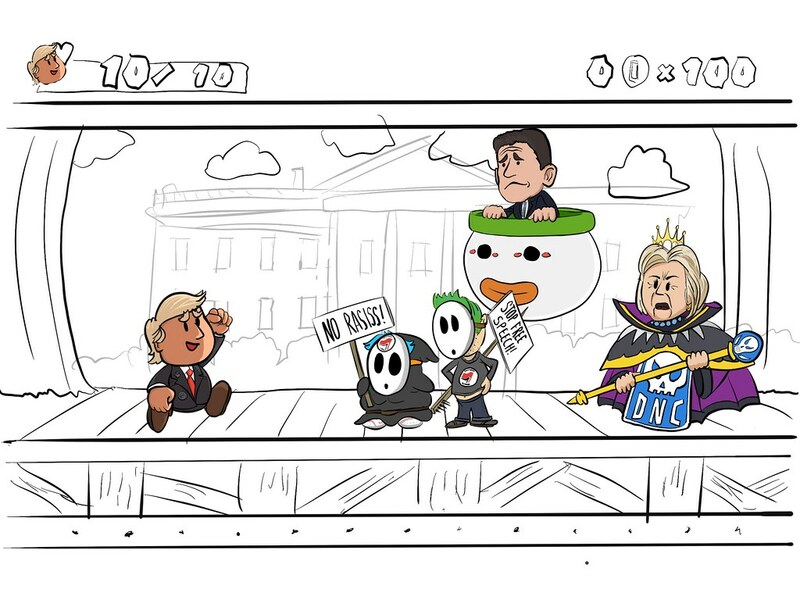 But knowing that even just a few people will see it – whether they’re pro-Trump or not – it will have been worth it. Thanks to everyone who tries it out! … and thank you, President Trump! I realize some friends/family may not be able to play the game so at some point I may create a video showing a little bit of each level of the game so people can see it that way. In the meantime if you can stomach random people on YouTube I’ve started collecting videos about the game made by other, random people on YouTube – most of them include gameplay video of some level. Here’s that playlist if you want to see video gameplay sooner vs later. Please like or share where you can! This entry was posted in Development, iPad, Painting and tagged App Store, game, trump, unity3d. Bookmark the permalink.